Boeckmans is active in the dry bulk scene as agent, ship broker and operator/owner. “One stop” solutions worldwide for large dry-bulk shipments, matching the right carrier to the cargo, specialized in full and part cargoes upto 15.000 tons. 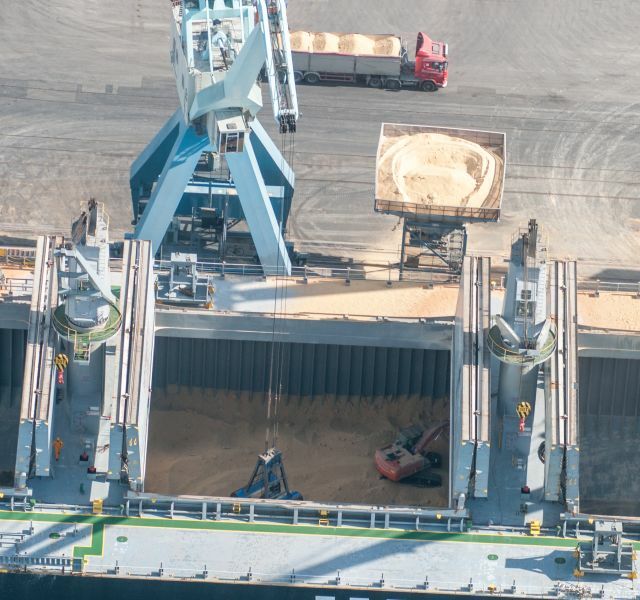 Dry bulk solutions for cargoes ex-Antwerp and Rotterdam with our extensive list of agency liner representations. Local ship agency services including handling of break bulk, with local know-how of the customs of the port. Boeckmans can advise and offer for pré-carriage, on-carriage, hook, liner, lashing etc… of break bulk cargoes.